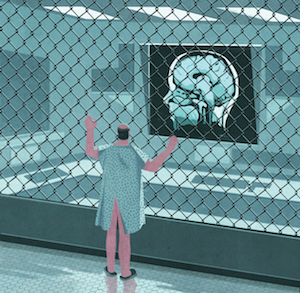 America’s dystopian health care system is forcing people into a lethal popularity contest. My sister, Marisa Rahdar, was diagnosed with breast cancer on March 16th of 2017. Through the testing phase she has also been diagnosed with cancer located in her lymph nodes and tailbone. This upcoming week she will begin radiation and meet with her team of doctors at Troy Beaumont to finalize a plan of action for her treatment. In the meantime, we have estimated her medical expenses not covered by her insurance, as well as her living expenses during the time of her treatment. We will update this site during her treatment so you can all get a small sample of that famous Marisa “charm.” For those concerned, her eyebrows remain unsullied. By now, almost everybody has seen pleas for help covering urgent medical bills in their Facebook feeds. With health care costs and high-deductible plans on the rise for more than a decade, medical expenses are the largest single cause of bankruptcies nationwide. Despite Obamacare’s efforts to rein in costs, the average deductible on a typical plan under the Affordable Care Act is $2,550—nearly as much as the entire monthly take-home pay of the average American worker. President Donald Trump’s efforts to destabilize Obamacare have already raised premiums, and experts predict the cost of a deductible under some versions of Republican health care legislation would rise to an average of at least $4,100. Meanwhile, according to the Federal Reserve, 44 percent of Americans in 2016 didn’t have so much as $400 saved up in the event of an emergency. With health care costs and high-deductible plans on the rise for more than a decade, medical expenses are the largest single cause of bankruptcies nationwide. Health care in America is the wedge of inequality: It’s the luxury everyone has to have and millions can’t afford. Sites like YouCaring have stepped in to fill the gap. The total amount in donations generated by crowdfunding sites has increased eleven­fold since the appearance of Obamacare. In 2011, sites like GoFundMe and YouCaring were generating a total of $837 million. Three years later, that number had climbed to $9.5 billion. Under the Trump administration, YouCaring expects donations to jump even higher, and the company has already seen an estimated 25 percent spike since the election, which company representatives believe is partly a response to the administration’s threats to Obamacare. Crowdfunding companies say they’re using technology to help people helping people, the miracle of interconnectedness leading to globalized compassion. But an emerging consensus is starting to suggest a darker, more fraught reality—sites like YouCaring and GoFundMe may in fact be fueling the inequities of the American health care system, not fighting them. And they are potentially exacerbating racial, economic, and educational divides. “Crowdfunding websites have helped a lot of people,” medical researcher Jeremy Snyder wrote in a 2016 article for the Hastings Center Report, a journal focused on medical ethics. But, echoing other scholars, he warned that they’re “ultimately not a solution to injustices in the health system. Indeed, they may themselves be a cause of injustices.” Crowdfunding is yet another example of tech’s best intentions generating unseen and unfortunate outcomes. The night Rahdar’s brother, Dante, wrote the pitch, she looked it over. She liked the title he’d given it—”Help Marisa Kick Cancer in the Teeth”—and the crack about the eyebrows, and so she told him, sure, go ahead and post it. But then she and Dante paused. They burst out laughing. It was April 1, 2017. They agreed to post it the next day. They didn’t want her suffering confused with an April Fools’ joke. “Charity is indignity when you have to have it,” Truman said in 1965. By the 1990s, the idea that government-­run welfare programs would damage the charitable impulses of the nation had become fully entrenched in right-wing thinking, most explicitly in Marvin Olasky’s The Tragedy of American Compassion, a significant influence on Newt Gingrich, among others. To adherents of this idea, Social Security, unemployment insurance, and cash assistance programs were all legal plunder—immoral distractions from individual philanthropic impulses. Obamacare, a program whose details were partly inspired by Stuart Butler, a former director of domestic policy at the conservative Heritage Foundation, displays a contradictory mix—with elements of both the Johnsonian welfare state ethic and conservative skepticism about the state’s right and ability to provide social insurance directly to citizens. The Affordable Care Act expanded coverage and protections to 20 million Americans, but it relied on private companies to administer care, allowing insurers to make a profit on the package that Obamacare required patients to purchase. At the same time, it provided government subsidies for those who couldn’t afford insurance. As such, it was a sort of Frankenstein between a for-profit and a social benefit, designed in part to appease both progressives and hostile Republican lawmakers. 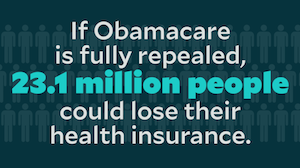 The result has been that more people have access to health care and insurance companies have experienced a “profit spiral,” making billions of dollars, even while premiums for many middle-­class constituencies, in addition to high deductibles, can cost more than $1,000 per month. When YouCaring first started in 2011, a year after the passage of the ACA, its founders unknowingly inherited this contradictory legacy. Three friends, Brock Ketcher, Naomi Ketcher, and Luke Miner, founded YouCaring after two years spent on religious missions abroad. The original purpose was to help students raise money for college, but they soon began hosting other charitable fundraising campaigns and then medical campaigns. By April 2013, they were attracting as many as 87,000 unique users daily, raising more than $180,000 a day. Today medical campaigns bring in the largest volume of YouCaring donations, more than $900 million in total since 2011. Last March, the company acquired Give­Forward.com, another charitable crowdfunding site founded in 2008. The first YouCaring campaign to pass $1 million was a 2014 memorial for Riley Sand­ler, a nine-year-old girl who died of respir­atory arrest at camp. Massive successes of campaigns like that one spread the word and elevated YouCaring’s brand. This past August, football star J.J. Watt’s YouCaring campaign to raise money for survivors of Hurricane Harvey in Houston passed its initial goal of $200,000 in a couple of hours. He has now raised $37 million. YouCaring, along with GoFundMe and their competitors, addressed a real need: With faltering budgets in schools and welfare services, people used the programs to fill in the gaps imposed by years of economic austerity. Today, there’s Donors­Choose, which allows users to raise money for public schools. Meal Train raises cash for food. Plumfund raises money for life events like pregnancies and honeymoons. GiveForward has prevented 4 percent of all medical bankruptcies. And make no mistake, the profits are potentially lucrative. GoFundMe charges 5 percent to every donation, plus 30 cents and another 2.9 percent for the transaction fee. (Indiegogo and Kickstarter charge similar fees.) With a total of more than $4 billion raised, that puts GoFundMe’s profits in the range of $200 million. In their competitive race for donations, these companies combine the old spirit of American charity with the modern dynamics of the 21st-century tech economy. Regardless of whether Obamacare survives another three or seven years of Trump or is replaced with something else entirely, one thing is certain: As health care becomes more expensive and resources become more unequally distributed, the crowd may become the insurer of last resort. The YouCaring office on California Street in downtown San Francisco is all open spaces and white and wood, like a massive condo. Windows on the 12th floor cast rays of sun onto Bertoia-style chairs where about 30 people work in glass-walled cubicles, clacking away on computers and perfecting algorithms. We’ve Spent Billions to Fix Our Medical Records, and They’re Still a Mess. Here’s Why. Ly introduced me to Jesse Boland, the director of online marketing. “What works is coming up with a very clear ask of your network,” Boland said, explaining that soliciting money on YouCaring relies on the same tools as any kind of digital marketing. “Outlining what are you asking and why are you asking for it.” Funding an animal shelter is more difficult than funding dogs, one by one. To apply the lesson: Users shouldn’t say they need $10,000; they should say that if they receive $100 today, they can go on living. The quantity and quality of the information matter, too. Images help. So does a continuous stream of information, just like on the most popular Twitter or Insta­gram accounts. People want to come back to the story, to find out what happens, Boland said, to see how their money has changed somebody’s life. Timing matters, too. The best times to post a campaign are “around lunchtime and after dinner during the week,” he said, and “earlier in the week is better.” Don’t panic because you’ve been diagnosed with a life-threatening illness and throw up your campaign at midnight. Many users intuitively grasp the rules. Take Shelly Vaughn, a GoFundMe user from Ohio. When she was diagnosed with breast cancer, her friends Christopher and Aubree Uhler asked for $6,000 to help pay the bills during her treatments. They met their goal in five days, ultimately earning $15,411. “It’s a testament to Shelly, and her personality,” Christopher told me when I talked to him on the phone. Of course, Shelly’s bio helped. She’s a children’s speech therapist at a local hospital, a young mother, a marathon runner, a member of a local church. “We basically flipped a switch,” Christopher said, meaning that as soon as they asked, the money came pouring in. Successful crowdfunding requires that campaigners master so-called medical and media literacies—they must be savvy online marketers of their own tragedy. But 90 percent of GoFundMe campaigns fail to meet their target, according to a small study by Lauren Berliner and Nora Kenworthy, professors at the Univer­sity of Washington. They believe that the need for online marketing skills is one of crowdfunding’s most pernicious features. Successful crowdfunding requires that campaigners master so-called medical and media literacies—they must be savvy online marketers of their own tragedy. Because online marketing skills and large social networks correlate strongly with income, say Berliner and Kenworthy, crowdfunding reproduces inequality. The well-off earn more money on YouCaring than the poor because in general they already have the skills and the friends required to raise money. It turns out Marisa Rahdar was naturally good at crowdfunding: $1,200, $4,750, $9,500—the amount she raised kept going up. Her campaign was run like a good social-­media account. She was clever, self-deprecating. Even in suffering, Rahdar was charming. By unwittingly rewarding certain types of illnesses over others, crowdfunding sites risk amplifying people’s prejudices about the “deservingness and worth” of users, as Berliner and Kenworthy put it. “Crisis stories work so much better than chronic stories,” Daryl Hatton, CEO of FundRazr said. When I emailed Khy Jones, the founder of the Brown Baby Brigade, a new 501(c)(3) group based near Tampa, Florida, I saw how these trends might play out. Jones’ nonprofit aimed to increase the breastfeeding rates for women of color by community outreach. The group had failed to raise a single dollar. “The crazy thing is the community of people we service can’t afford to donate,” Jones told me. By all measures, Brown Baby Brigade offers a socially valuable service. About 76 percent of white women sometimes breastfeed their children, compared with 58 percent of black women, a significant discrepancy given breastfeeding’s lifetime health advantages for mothers and infants­—­it has been shown to improve outcomes for conditions as diverse as depression and diabetes. But the story doesn’t sell. This prioritizing of the sensational seems to be replicated nationwide, as more and more people donate to YouCaring and other crowdfunding sites instead of traditional charities. Since the 2008 recession, when one of the first crowdfunding sites, GiveForward, was founded, charitable giving has declined precipitously, and the propensity to give dropped 6 percent between 2000 and 2012. Meanwhile crowdfunding has exploded. The relationship isn’t causal, but it does signal an alarming shift in people’s priorities and the way they give: away from the community, toward the individual. Racial disparities also appear to be reproduced on crowdfunding sites, in large part because racial and economic inequalities often overlap. For example, African Americans tend to have less wealthy social networks, and therefore fewer resources available to draw from in times of crisis. It’s anecdotal but striking that a quick way to find a lot of failed campaigns, and very few successful ones, is to search for “sickle cell anemia,” a disease that disproportionately affects people of African heritage. Before Northern fell sick and moved to Georgia, she ran a charity called Grad Girls Network that helped underprivileged girls in Los Angeles. Now, her medical insurance wouldn’t cover the rehabilitation program she wanted to undertake at the Shepherd Center, a well-respected clinic. She had requested $47,000 on her YouCaring page so she could get back into rehab, and she had raised a decent amount, $8,455, but it wasn’t nearly enough to pay out of pocket to attend physical therapy. Crowdfunding, she said, was not working for her, at least not yet. “It’s still ongoing,” she said. Last summer, I met Marisa Rahdar in Thomas Magee’s Sporting House, a gritty joint just off the Fisher Freeway in Detroit. Rahdar used to tend bar there, and when she fell sick her customers and friends rallied to help her out. 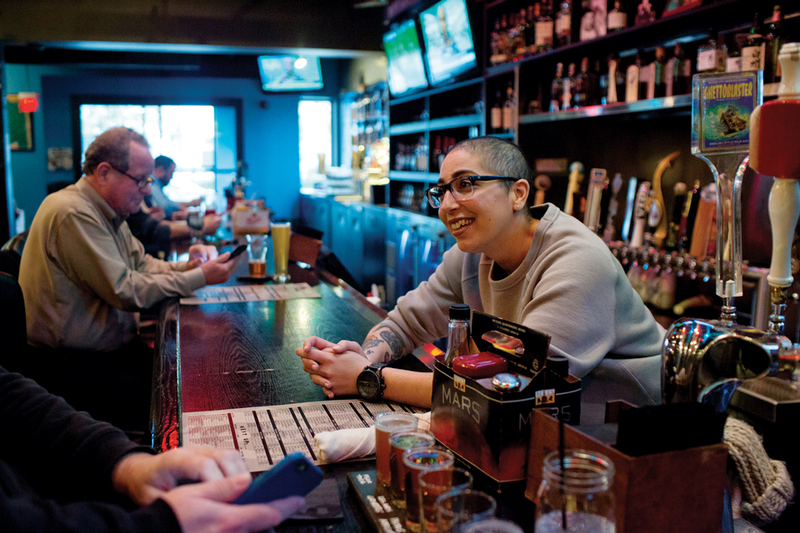 At Thomas Magee’s, they came up with a lot of cute tricks to raise cash: music and booze and a 50-50 raffle—half the money would go to the winner and half to Rahdar. The biggest prizes were a basket full of donated Lot 40 Whisky and a Tucker Torpedo, the beautiful 1948 car of which only 51 were ever made. The organizers even reserved a parking space out front for the ultrarare Tucker—you know, like the car was about to pull up any minute—but it turned out to be a tiny toy car, not the real thing. The joke raised a good deal of cash anyway. The man who won the 50-50 donated his earnings. Fellow members of the Detroit bartenders’ guild, forgotten regulars, ex-­boyfriends—all came out to give. Rahdar saw people she hadn’t seen since she was 18. One friend forked over $1,800. After leaving Detroit, I revisited Kaneisha Northern’s YouCaring page. It was mostly quiet, with little activity save for a few friends chiming in to offer good wishes. Her earnings seemed to have stalled out at the $8,455 mark and hadn’t increased in weeks. Then I went to her Facebook page and saw that she had died. She was 35 years old. It happened in the morning. Seated in her wheelchair beside her bed, she had called out to her mother for help, according to a neighbor, and by the time her mother arrived she had passed. No one had expected her to deteriorate so quickly—she’d been hoping to raise money to attend rehab for her multiple sclerosis, after all. America is becoming a country so free that everyone must beg to survive, and most will not beg well enough. If you’re looking for monsters, you won’t find them at YouCaring.com or any of the other crowdfunding sites that are rising to fill the ever-widening cracks in the American health care system. It’s just that the marketplace of compassion, which is what crowdfunding sites amount to, produces winners and losers like any other marketplace. America is becoming a country so free that everyone must beg to survive, and most will not beg well enough. In November, I visited a new crowdfunding page that had been set up for Northern, this one on GoFundMe. Titled “A Tribute to Kaneisha Northern,” it is, if you follow the recommendations of social-­media marketing experts, not a very good campaign. There’s no text, no story, just a photo of her face and the title, without details or information about her death. It has raised $2,312 so far.